Itching for some fresh fun with your Android phone? Look no further, because our weekly Five to Try column rounds up the week’s biggest new app and game releases, as well as the most impactful updates. In fact, it’s the updated version of Minecraft that leads this week’s roundup, as the new Play Together edition connects various platforms with both solo and multiplayer benefits. Elsewhere, XOutOf10 is a freebie gag app that mimics the upcoming iPhone X’s rather distinctive top screen notch, MyNBA2K18 turns basketball into a competitive card game, Apple Music adds some needed features, and Terra Battle 2 offers up an even larger fantasy role-playing adventure to dive into. Hit the Play Store and check these apps out this weekend! Find busy online servers with ease via the new update. Minecraft: Pocket Edition isn’t the Pocket Edition anymore—it’s just Minecraft ($7). Why? Because now there’s parity between the Android version and the other computer and console editions available today, as they’re sharing the same codebase. And more importantly, now they’re all connected together via the new Play Together update. Released this week, Play Together links together several versions of the game, including Android, Windows 10, iOS, Xbox, and VR, with Nintendo Switch support on the horizon. 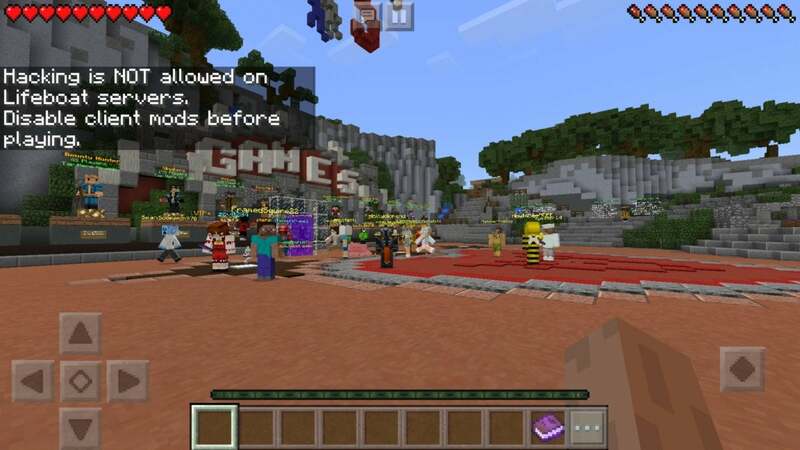 Now you’ll be able to start your game on one device and pick it up on any other, plus the unified approach makes it easier to get online and play with lots of other people on public servers. 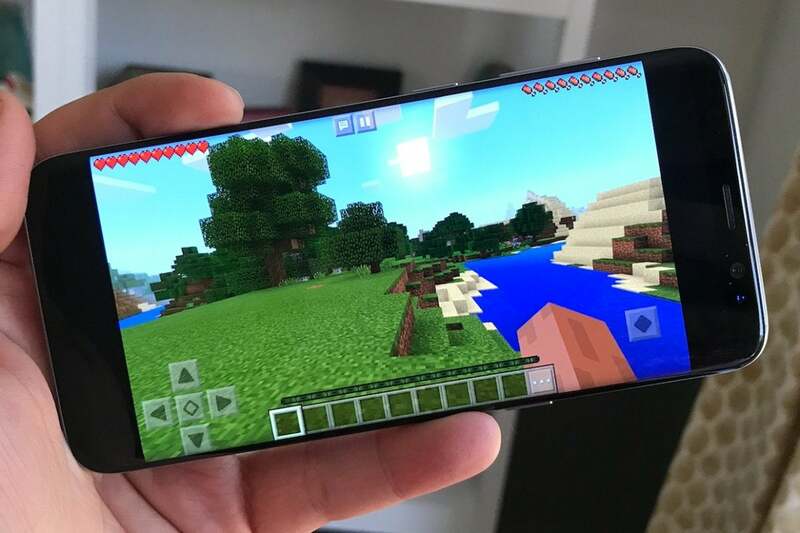 It’s still the familiar Minecraft at core, of course, but now it seems a whole lot larger on Android. The "notch" might not look perfect on every phone, but… well, you don't really want to use this all the time, do you? The upcoming iPhone X looks to be Apple’s larger threat against high-end Android phones, more so than today’s iPhone 8 and iPhone 8 Plus, but there’s something a bit… odd… about the screen. It’s the notch. Apple’s phone has a new front-facing camera system with an infrared sensor, and it needs a decent chunk of space on a phone that’s otherwise all-screen on the front—so Apple wrapped the screen around an empty, black notch at the top. 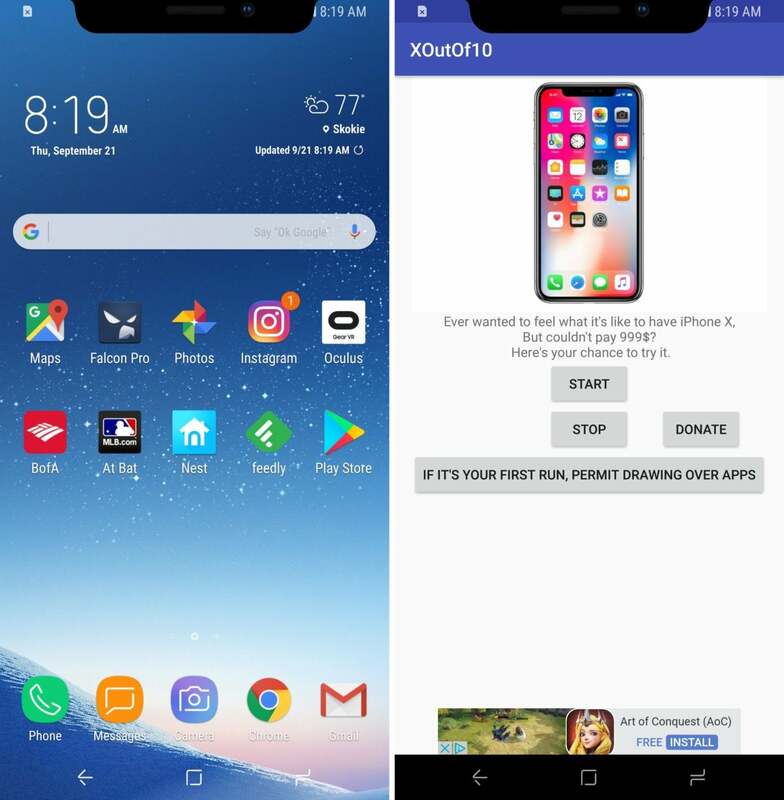 And now you can simulate Apple’s curious notch with the XOutOf10 app, which puts a constant faux camera array at the top of your screen. Why ever would you want such a thing? You wouldn’t, practically, but as a simple (and free) gag app, it’s pretty funny. Use it to playfully taunt (or dissuade) any pals who are holding out for iPhone X. Basketball cards playing basketball? Perfect! We’re still waiting for NBA 2K18 to hit Android after launching on other platforms this week, but if you’re a big hoops fan, at least you can check out MyNBA2K18 in the meantime. Its main attraction is a card-based game that lets you amass a team of NBA stars and then try to outmatch other players in head-to-head battles. Amusingly, you’ll see the cards on the court (not the players), but they'll still block shots and nail audacious dunks. The whole thing is strongly freemium, however, and you’ll need to spend plenty of time and/or money to find success here. 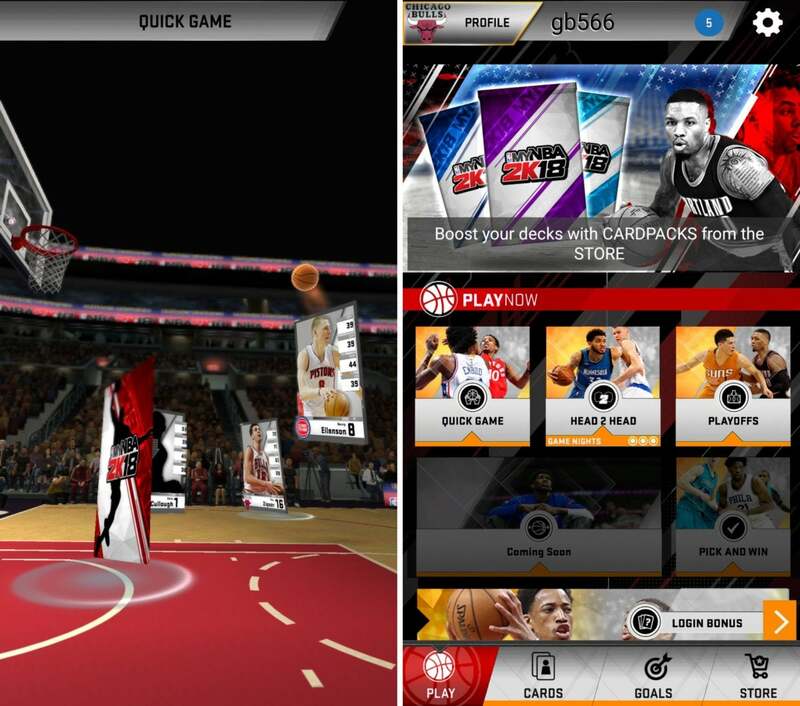 If you play NBA 2K18 on a console or PC, then the app also serves a second purpose as a companion for the main game. You can use it to snap your photo to create a custom player, for example, or earn extra in-game currency to use in the console experience. Apple Music is now more fully-featured on Android. This week’s release of iOS 11 brought a bunch of new features and tweaks to iPhones and iPads, but Apple also took the opportunity to enhance its Apple Music app on Android. The latest version brings a couple of pretty significant updates that address previous omissions. For example, now Apple Music has voice search, letting you say “OK Google” or hold your phone’s home button to request songs, artists, and more. 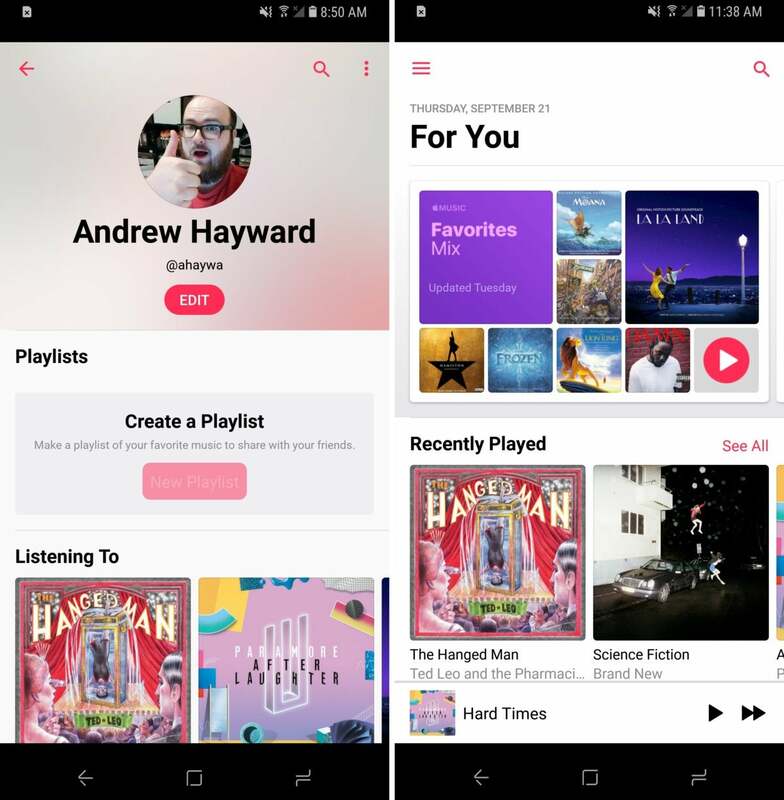 The new update also adds an optional home screen widget, plus it brings some new social functionality that lets you link up with friends to share playlists and see what they’ve been listening to. It’s not exactly a revival of Apple’s reviled Ping feature from iTunes years back, but really more akin to what Spotify offers for paired-up pals. All told, however, this is a pretty meaty update for Apple’s streaming music app. Get tactical with this new fantasy role-player. Hironobu Sakaguchi created the original Final Fantasy 30 years ago, spawning one of the most beloved franchises in all of gaming. 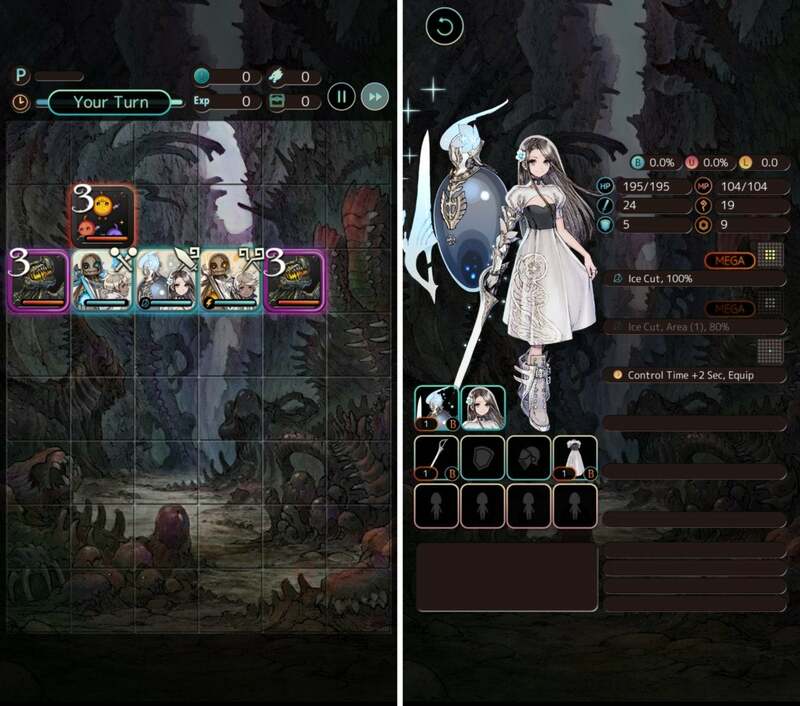 These days, his Mistwalker studio has found another success on mobile with Terra Battle, a streamlined, free-to-play take on tactical role-playing. After notching more than 2.5 million downloads of the original, Terra Battle 2 is here with some tweaks to the formula. As before, the head-to-head fights take place on a grid-based battlefield using character tiles, which you’ll move around to trigger attacks and abilities. But now there’s an open world map outside of combat, letting you explore the environment and find new fights as you please, as well as freely arrange your characters for a strategic edge in battle. It’s still a free-to-play game, but the first one found plenty of fans, and there’s been some solid hype surrounding this sequel.